This re-titled new edition of Public Health Practice and the School-age Population has been updated and expanded to include children of all ages. 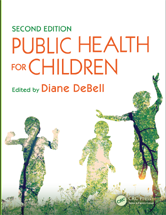 Following radical changes in public health provision, Public Health for Children, Second Edition examines the implications for children and young adults as well as for those who provide care, prevention, and health promotion services. It also explores the challenges created by these significant structural and functional changes. A New Child Public Health: Who Is This Book For? Making Healthy Choices: What Does This Mean for Childhood? What Do We Mean by Difference and Diversity? Government Policy and Practice: Parental Empowerment or Social Control? Looking More Closely at Health Promotion? Vulnerable Children and Young People - Who Are They?